Your resource for all things shoegaze and dream pop: New Album Review: Bloody Knives || I Will Cut Your Heart Out For This. Review by Ellie Sleeper. New Album Review: Bloody Knives || I Will Cut Your Heart Out For This. Review by Ellie Sleeper. Breathless. Violent. Unrelenting. Euphoric. 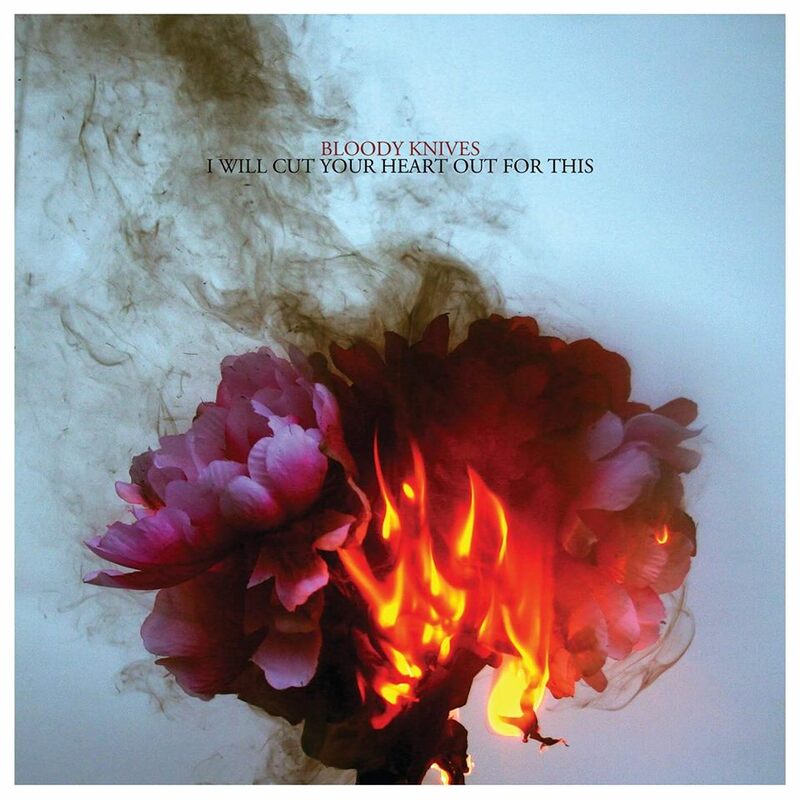 Bloody Knives’ I Will Cut Your Heart Out for This is all of these things and more. Their newest release manages to be denser and more aggressive than anything they’ve already put out, which may prove almost unfathomable to longtime listeners. Picking up where prior songs like “Peeling Away The Skin” left off, the Texan sextet finds even more adrenaline and intensity within themselves; the most instantly apparent sign of this is the fevered pace of the drums, which barrel forward and brawl with anyone they can find, bringing the world of ‘gaze perhaps the closest it’s ever come to an intersection with thrash metal. It lends the songs a sense of immediacy and urgency, and each moment leaves listeners just barely dangling over the edge. The opening notes of “Black Hole” arrive in vaporous, string-like swells that shimmer in a deceptive introduction before the song explodes into the on-and-off air raid it truly is. The song changes shape and dynamics frequently, but it demands attention and excitement from start to finish. Maddox’s bass work is at its finest here, doubled nicely by bass synths at various points. Drilling, whirring guitars spin in and out of view, weaving their notes in at always exactly the right moments in exactly the right ways. Simply put, this is a fun number. “Poison Halo” stands out as a second high point, almost the counter to “Black Hole.” Whereas the latter is somewhat joyful and awe-inspiring, “Poison Halo” is ominous to the core. Maddox’s vocals spill out in the shape of a man simply regarding the world ending all around himself, a pained and bloodied lament as existence itself is eviscerated. This is a song that could likely strip flesh from bone if cranked to a high enough volume, a positively demonic reverie. Whereas the lulls in “Black Hole” simply leave one ready for more, the quiet here is more like alarm bells before the onslaught resumes. To be sure, such descriptions will likely give unfamiliar parties some pause, but rest assured that I Will Cut Your Heart Out for This is the kind of album that rewards patience and curiosity. Those arriving to the album with open minds and a healthy dose of masochism will surely find it time well-spent. It’s an engaging listen, and startlingly accessible for something so fierce. That these six could craft such an experience is a glowing testament to their skill as writers. This is a definite contender for one of the best albums of 2016, and the year has only just begun. Buy It Because – Albums like this are, simply put, rare. This may well be genre-defining material.